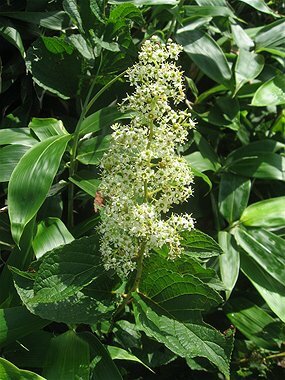 Researchers at the Johns Hopkins School of Medicine have discovered that a natural constituent isolated from a traditional Chinese medicinal herb, Triptergium wilfordii Hook F. (雷公藤, Lei Gong Teng, Thunder God Vine), used for hundreds of years to treat many conditions, works well by blocking gene control machinery in the cell. Thunder God Vine (Lei Gong Teng) is regarded as toxic and used externally to treat rheumatoid arthritis and sciatica. This report, published as a cover story of the March issue of Nature Chemical Biology, suggests that the natural constituent could be a starting point for developing new anti-cancer drugs. The extracts of Triptergium wilfordii have been used to treat a whole host of conditions and highly lauded for anti-inflammatory, immunosuppressive, contraceptive and anti-tumor activities. The researchers have known about the active compound, triptolide, which can stop cell growth, since 1972, but only now have they figured out what it does. Triptolide, the active ingredient purified from Tripterygium wilfordii, has been shown in animal models to be effective against cancer, arthritis, and skin graft rejection. In fact, triptolide has been shown to block the growth of all 60 U.S. National Cancer Institute cell lines at very low doses, and even causes some of those cell lines to die. Other experiments have suggested that triptolide interferes with proteins known to activate genes, which gives the researchers an entry point into their research. Using information already known about these proteins and testing the rest to see if triptolide would alter their behaviors, the research team finally found that triptolide directly binds to and blocks the enzymatic activity of a protein. 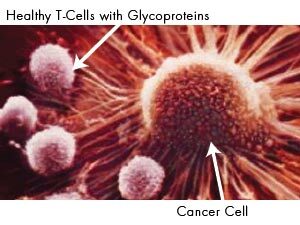 Triptolide’s general ability to stop enzymatic activity explains its anti-inflammatory and anticancer effects. And its behavior has important additional implications for circumventing the resistance that some cancer cells develop to certain anti-cancer drugs. The researchers are eager to study it further to see what it can do for future cancer therapy. Tripterygium wilfordii, or léi gōng téng (Mandarin) (Chinese:雷公藤, Japanese: raikōtō), sometimes called thunder god vine but more properly translated thunder duke vine, is a vine used in traditional Chinese medicine for treatment of fever, chills, edema and carbuncle. Tripterygium wilfordii recently has been investigated as a treatment for a variety of disorders including rheumatoid arthritis, cancer, chronichepatitis, chronic nephritis, ankylosing spondylitis, polycystic kidney disease as well as several skin disorders. It is also under investigation for its apparent antifertility effects, which it is speculated, may provide a basis for a Male oral contraceptive. Triptolide, a diterpene triepoxide, is a major active component of extracts derived from Tripterygium wilfordii. Triptolide has multiple pharmacological activities including anti-inflammatory, immune modulation, antiproliferative and proapoptotic activity. The Chinese herb, Lei Gong Teng, comes from the roots, leaves and flowers of the tripterygium wilfordii Hook. f. It is collected during summer and autumn. Tripterygium wilfordii Hook is a deciduous climbing vine growing to 12 meters, with brown, angular, downy twigs. The leaves are light green, smooth on top, and pale gray with light hairs underneath. They have crenate margins and pointed apexes, and are ovate to elliptic, 5-15 cm long, 2.5 – 7 cm wide. The scented hermaphroditic (having male and female organs) flowers, which bloom in September, are small and whitish with five petals and are about 9 mm across, in terminal panicles in July. The fruit is 3-winged, and brownish red, about 1.5 cm long. The plant can grow in light (sandy), medium (loamy) and heavy (clay) soils. It can survive in acid, neutral and basic (alkaline) soil. It can grow in semi-shade (light woodland) or no shade. It requires moist soil. Source: The whole plant of Triptergium wilfordil Hook. f., family Celastraceae. The plant contains many active compounds, at least six of which have male anti-fertility effect (triptolide, tripdiolide, triptolidenol, tripchlorolide, 16-hydroxytriplide and a compound known as T7/19, whose structure is unpublished). The mechanism by which they affect fertility is not yet understood. What is known is that daily doses of these compounds reduce sperm counts and also severely affect the formation and maturation of sperm, causing them to be immotile. Certain extracts from Tripterygium wilfordii, as well as from Tripterygium hypoglaucum (now considered identical to T. regelii) and Tripterygium regelii, were discovered in the 1980s to have temporary antifertility effects, which has led to research on its potential as a contraceptive. Not enough is known about T. wilfordii to actually test it as a contraceptive. Research thus far has dealt with establishing the mechanism by which the plant affects fertility, and investigating toxicity and side effects. What has been learned is encouraging, however: in both animals and humans, low doses of various Tripterygium extractscan produce significantly lowered sperm density and motility indices without major side effects. When the treatment was ended in the various trials, all indices returned to normal within months. T. wilfordii could be an effective pharmaceutical alternative to contraceptives based on hormonal manipulation. A small molecule Triptolide derived from T. wilfordii has been shown to disrupt mitochondrial function in cells and is under investigation as an anti-tumor agent or to suppress auto-immune disorders. In China Tripterygium wilfordii has an established history of use in the treatment of rheumatoid arthritis. The herb shows immunosuppressive, cartilage protective, and anti-inflammatory effects. The National Center for Complementary and Alternative Medicine has noted that one systematic review of the literature found that Tripterygium wilfordii may improve some RA symptoms, though another systematic review has stated that the serious side effects occur frequently enough to make the risks of taking this herbal supplement too high for the possible benefits. Two compounds, the diterpenoid epoxide triptolide and the quinone triterpene celastrol found in the plant may have potential as antitumor drugs. Drugs derived from the plant also show potential for reduction and elimination of pancreatic tumors in mice. Clinical trials may soon begin for the development of a drug for use in humans. At medicinal doses, T. wilfordii extract does have significant side effects, including immunosuppression. However, this may not apply to contraceptive use. Many of the side effects are caused by the other active compounds found in the plant, and do not appear when a pure extraction of its compounds with anti-fertility effect is used. In addition, the dose required to lower fertility is significantly lower than the standard medicinal dose. In August 2011, the UK Medicines and Healthcare products Regulatory Agency (MHRA) published a drug safety bulletin advising consumers not to use medicines containing Lei Gong Teng. This was due to concerns over potentially serious side effects. Baidu Baike cautions do not take internally; China State Food and Drug Administration issued a warning in April 2012 about this medicine, urging caution. However, a recent review stated that although Tripterygium wilfordii has toxic potential, careful extraction gives an acceptable frequency of adverse reactions, which are largely related to the gastrointestinal tract and amenorrhea. The review found that T. wilfordii extract is useful remedy for postmenopausal rheumatoid arthritis. The Beijing TV series of China Medicine has shown people being treated successfully with the herb in a formula for rheumatoid arthritis. and outlined some practice to alleviate problems of using the herb. As often the case of TCM, formulations need to to be adjusted for individual’s physiology for best result. (1). Wilforgine, wilforgine-B,wilfordine, wilfornine, wilfortrine, wilfortrine-D, wilforzine, wilformine, wilfordinic acid, hydroxywilfordii acid ,wilfornine , neowilforine. (2). Celacinnine, celafurine, celabenzine, celallocinnine. (3). Triptofordinine A-1, A-2, triptofordin D-1, D-2, E , triptofordin A, B, C-1 C-2 , triptofordin F-1, F-2, F-3, F-4. (2.). Triptolidenol, tripnolide, neotriptophenolide, triptophenolide methyl ether , isoneotrip-tophenolide, hypolide methyl ether. (3). Triptonoterpene, triptonoterpene methyl ether, triptonoterpenol 12-ydroxy-abieta-8, 11, 13 -trien-3-one, 11-hydroxy-14-methoxy-abieta-8, 11-hydroxy-14-methoxy-abieta-8, 11, 13-trien-3-one. (1). Wilforlide A, wilforlide B. (2). Tritotriterpenoid lactone, tretotriterpenic acid A, tritotriterpenic acid B, tritotriterpenic acid C, 3-epikatonic acid, polpunonic acid, triptodihydroxy acid methyl ester, tripterine. (3). 3,24-dioxofridelan-29-oic acid, salaspermic acid. 7 Other Chemicals: dulcitol, glucose, tannin. 8. Trace mineral: iron, manganese, zinc, copper, selenium etc. PG490-88 (14-succinyl triptolide sodium salt) is a semisynthetic compound derived from the diterpene triepoxide, triptolide (PG490). PG490 was first isolated and structurally characterized in 1972 when it was extracted from the Chinese medicinal herb, Tripterygium wilfordii Hook F (TWHF), a member of the Celastraceae family. Historically, extracts of TWHF have been used for centuries in traditional Chinese medicine but in the 1970s, they were identified as being effective in the treatment of inflammatory/autoimmune disorders such as rheumatoid arthritis. Since then, more rigorous attempts were made to better identify biologically active constituents of TWHF responsible for its various clinical properties. We now know, for example, that diterpenoid components of TWHF, especially PG490, exert their anti-inflammatory and immunosuppressant effects by inhibition of cytokine production (e.g. , IL-2, IL-4, IFN) by T lymphocytes. These effects of PG490 have also been explored in mouse models where it was shown that PG490 prevents graft versus host disease (GVHD) and prolongs skin, heart, and kidney allograft survival. The isolation of PG490 has also led to studies supporting its potential development as an antineoplastic agent. Shamon et al., for example, showed that PG490 inhibited growth of several human cancer-derived cell lines (including breast, prostate, and lung) grown in culture. PG490 was also shown to induce apoptosis of human promyelocytic leukemia, T-cell lymphoma, and hepatocellular carcinoma cell lines grown in culture. Interestingly, the inhibitory effects of PG490 on the growth of tumor cells in culture were enhanced in the presence of other inducers of apoptosis such as tumor necrosis factor- (TNF) and chemotherapeutic agents. When combined with chemotherapeutic drugs, PG490 enhanced apoptosis through signaling pathways involving both p53 and p21. The molecular target(s) for PG490 is currently unknown. Clues to the cellular target, however, are emerging from its effect on transcriptional activity. For example, we have shown along with Qiu et al. , that PG490 blocks transcriptional activation of NF- B by blocking transcriptional activation of p65 but without affecting DNA binding by p65. Additionally, we have found that PG490 blocks transcriptional activation by AP-1 and p53 without affecting DNA binding by Jun/Fos or p53. Recent studies show that the transcriptional activity of AP-1, NF-B, and p53 is regulated by a chromatin structure that is controlled, in part, by histone acetylation. In support of this, a recent study showed that p65 interacts with the histone deacetylase (HDAC) corepressors HDAC1 and HDAC2 to negatively regulate NF- B transcriptional activity. Also, silencing mediator of retinoic acid and thyroid hormone receptors (SMRT) was shown to inhibit transactivation of AP-1, NF-B, and serum response factor (SRF) by binding to their cognate transcription factors. Recent studies also show that p53-mediated transcriptional activity is regulated by histone acetylation. However, we have not observed an effect of PG490 on histone acetyltransferase (HAT) activity or histone acetylation. PG490 at doses of 5–10 ng/ml does not repress basal transcriptional activity mediated by AP-1, NF-B, and p53 but it does block induction of NF-B by TNF and p53 transcriptional activity induced by chemotherapy. Also, PG490 does not affect topoisomerase I or II activity or increase topoisomerase cleavage complexes. Therefore, its synergy with chemotherapy may in large part be due to its inhibition of p21 mediated growth arrest, which activates an apoptotic pathway. The treatment of solid tumors is evolving to more targeted treatments that may be helped by genetic profiling of tumors and targeting tumor-specific angiogenic and growth factor pathways. Also, several recent studies have shown that disrupting checkpoints in tumors drives tumor cells into apoptosis by abrogating checkpoint arrest. Here we show that PG490-88, a water-soluble derivative of PG490, reduces tumor growth, induces marked regression, or completely eradicates human tumor xenografts. Moreover, PG490-88 is a potent and well-tolerated antitumor agent that acts in synergy with DNA damaging agents and is effective in a clinically relevant dosing schedule. PG490-88 is now in phase I clinical trials for patients with solid tumors. A recent study showing that PG490 inhibits metastasis of solid tumors coupled with our findings that PG490-88 markedly enhances the cytotoxicity of DNA damaging agents suggests that PG490 or PG490-88 alone or in combination with chemotherapy may become an effective therapy for patients with solid tumors. Also, our finding that PG490 sensitizes tumor cells to TNF by blocking NF-B suggests a role for the combination in treating patients with TNF sensitive tumors such as melanoma. Identification of the target of PG490 and its mechanism of action will complement the ongoing clinical trials, and will provide insight into potential mechanisms of toxicity and the design of compounds that may be more selective and more potent. Zhen QS, Ye X, Wei ZJ (February 1995). “Recent progress in research on Tripterygium: a male antifertility plant”. Contraception 51 (2): 121–9. doi:10.1016/0010-7824(94)00018-R.PMID 7750290. Liu Q. (2011). “Triptolide and its expanding multiple pharmacological functions”. International Immunopharmacology 11 (3): 377–383. doi:10.1016/j.intimp.2011.01.012.PMID 21255694. “Rheumatoid Arthritis and Complementary Health Approaches”. National Center for Complementary and Alternative Medicine. Retrieved 21 April 2013. Liu Z, Ma L, Zhou GB. (2011). “The main anticancer bullets of the Chinese medicinal herb, thunder god vine.”. Molecules 16 (6): 5283–97. 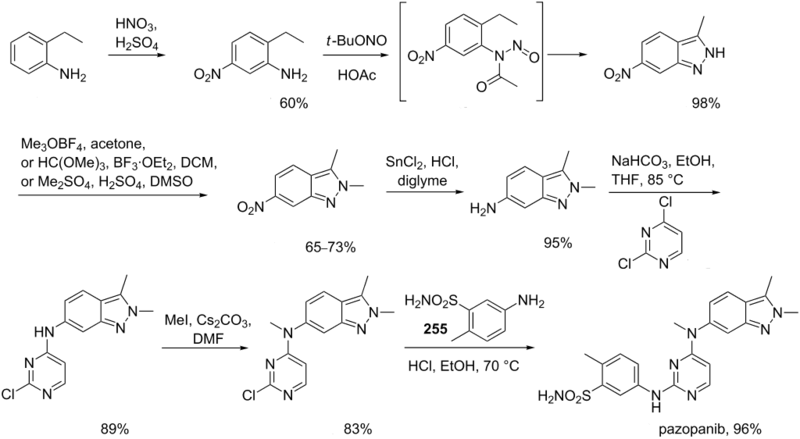 doi:10.3390/molecules16065283.PMID 21701438. Bao J., Dai S.-M., (September 2011). “A Chinese herb Tripterygium wilfordii Hook F in the treatment of rheumatoid arthritis: Mechanism, efficacy, and safety.”. Rheumatology International 31 (9): 1123–1129. doi:10.1007/s00296-011-1841-y. PMID 21365177. 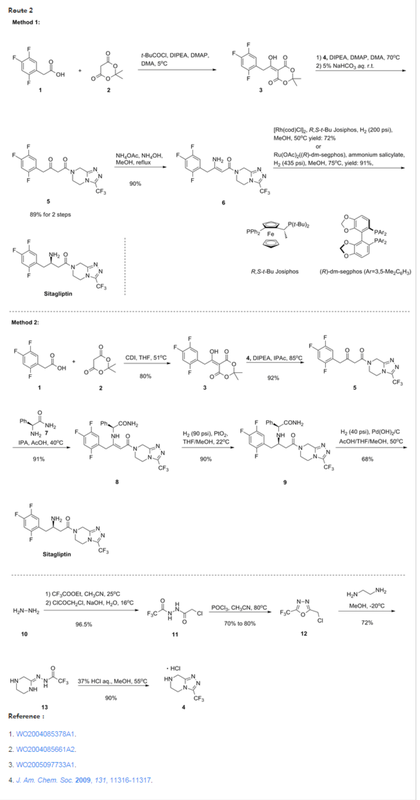 Downloadable PDF – “Molecular analyses of the Chinese herb Leigongteng (Tripterygium wilfordii Hook.f. )” (2010). Sue Ka-Yee Law et al. 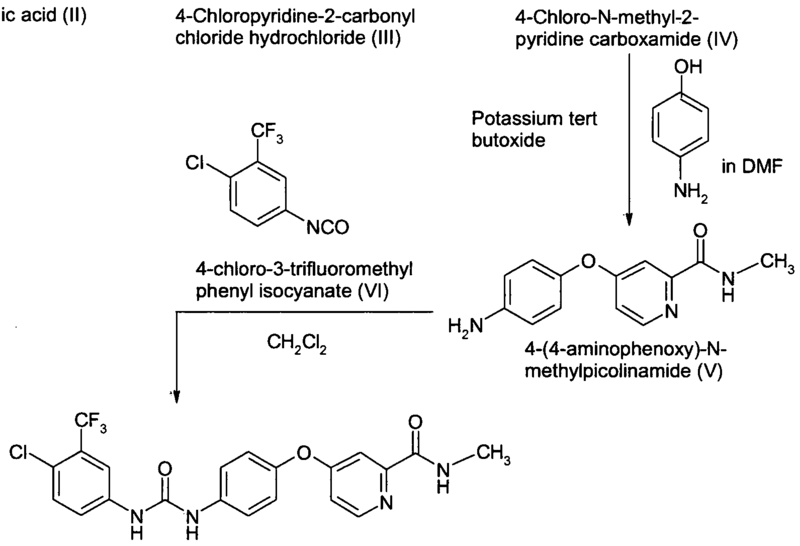 Phytochemistry 72 (2011) 21–26, Elsevier. Adv Exp Med Biol. 2007;599:139-46. Journal of Andrology 1998; vol 19 no 4, pp 479–486. Contraception 1995; vol 51, pp 121–129. Contraception 1986; vol 36 no 3, pp 335–345. Tags: CHINESE HERBS, 雷公藤, lei gong teng, Tripterygium wilfordii Hook F.
Where do they sell extract from this herb? Financing will be accessible for both new and used dump trucks. after that finance the remaining balance having a truck loan.